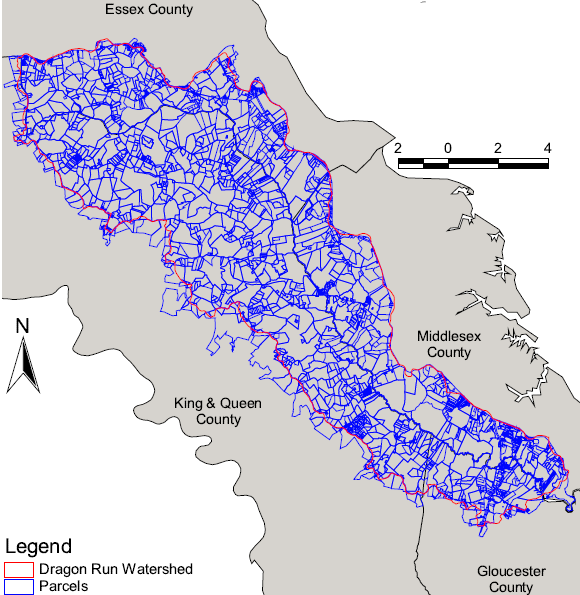 The Dragon Run is a brackish water, tidal/nontidal stream which flows forty miles through the Virginia Middle Peninsula counties of Essex, King and Queen, Middlesex, and Gloucester. 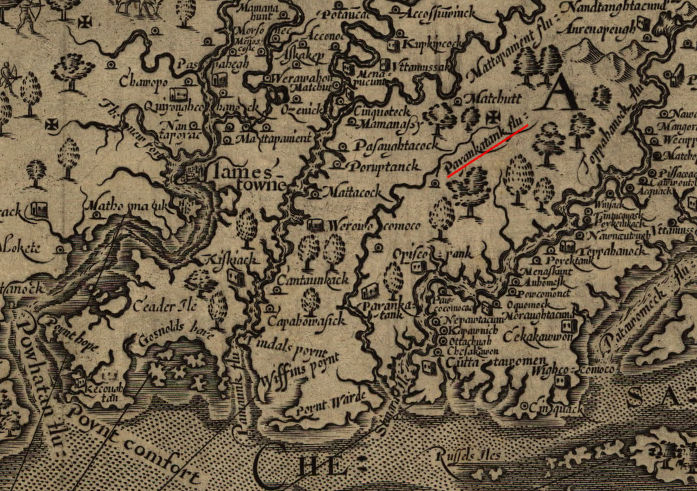 Fed by underground springs, surface runoff and numerous feeder swamps, the Dragon Run twists and turns, meandering through the four-county area, eventually emptying at the headwaters of the Piankatank River. The stream, along with the surrounding Dragon Run Swamp, forms an ecologically unique system. A system of excellent water quality and numerous and diverse species of flora and fauna. 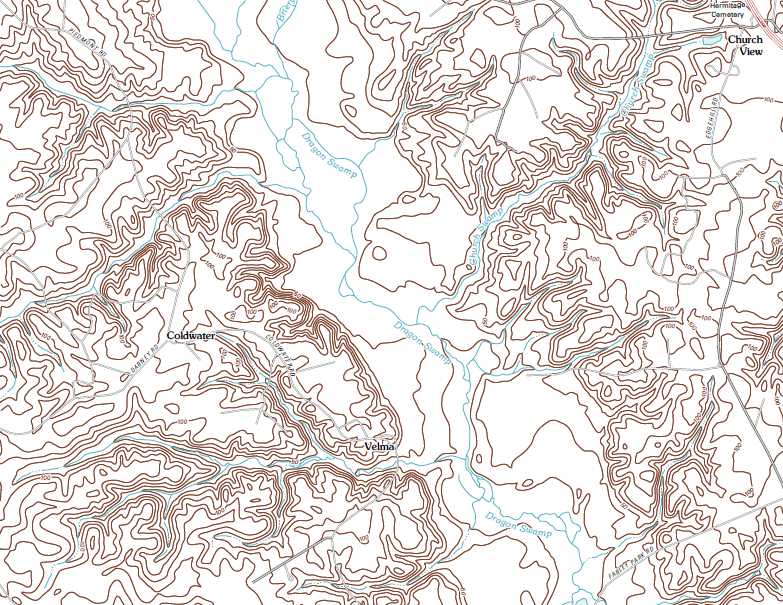 It is characterized by dense stands of hardwoods with occasional upland ridges extending to the stream's edge. It supports both recreational fishing and excellent game and nongame wildlife. There is very little evidence of man's presence, essentially maintaining a primitive character throughout the entire system. 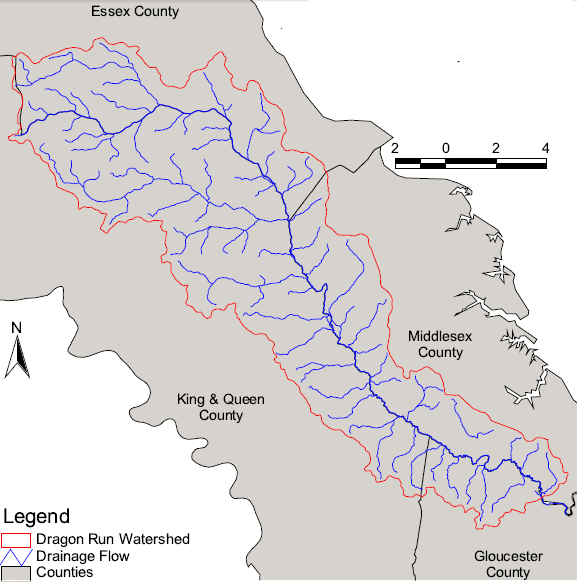 At the end of the last Ice Age 18,000 years ago, the Piankatank River was one of many fresh-water tributaries draining into the Susquehanna River as it flowed south. 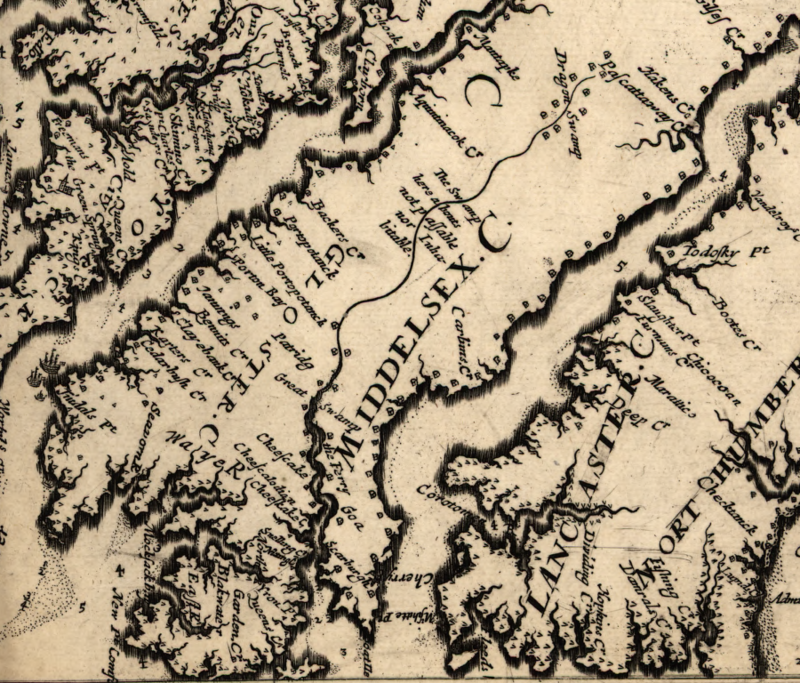 Rising sea level flooded the valley of the Susquehanna River and converted a portion of it into the Chesapeake Bay, while the drowned mouth of the Piankatank River evolved into a part of Dragon Swamp. Further upstream for 40 miles, the flat landscape had been created over millions of years. It was formed by the accumulation of eroded sediments from the Piedmont forming the Coastal Plain, by occasional transgressions of the Atlantic Ocean as far west as the Fall Line during which marine sediments were deposited, and by erosion that created a topography so flat that swamps developed. Tannins leach into the slow-moving water from decaying leaves of hardwood trees and bald cypress, creating "blackwater" swamps that send water gradually into Dragon Run. 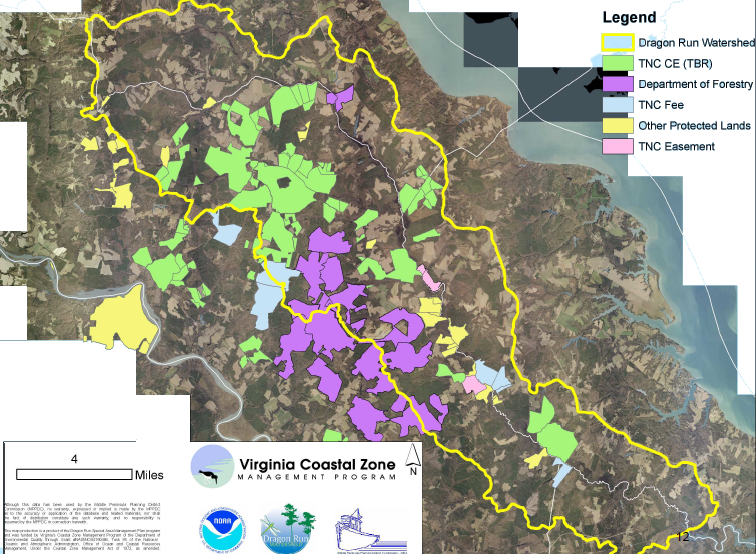 When the Smithsonian Institution evaluated ecologically significant areas in the Chesapeake Bay area in 1974, Dragon Run was listed as the #1 site in Virginia's part of the bay. Much of the Middle Peninsula serves as a bedroom community for out-commuting residents. Suburban sprawl from urban employment centers is now creeping into the region.